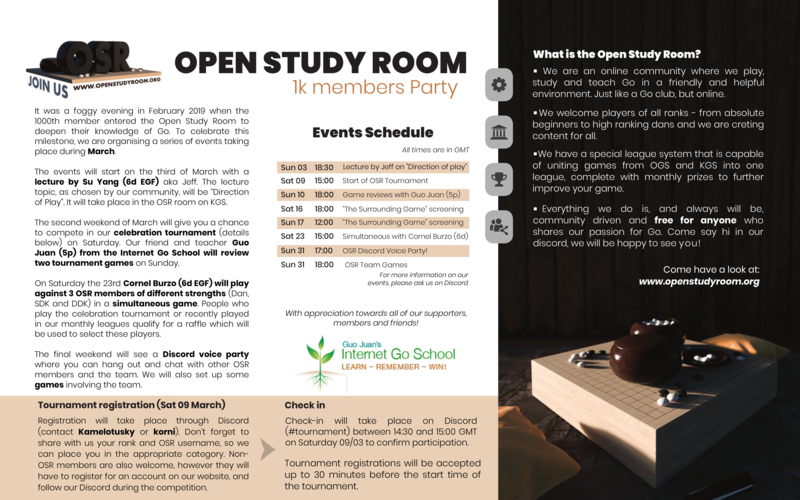 By: climu on March 14, 2019, 9:21 a.m.
As part of our celebration event for reaching 1000 OSR members, 3 OSR members are going to play a simul with Cornel Burzo(EGF 6d) on [gmt]2019/03/23 15:00[/gmt]. 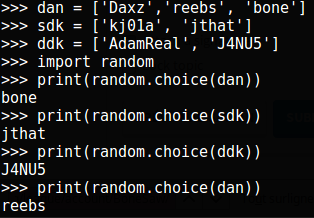 One Dan, one SDK, one DDK player will be selected in a raffle on the 22 of March. Have play a game in one of OSR leagues in the last 3 month or have participate in OSR 1K Celebration tournament. Commit to be on OSR discord and play on KGS on [gmt]2019/03/23 15:00[/gmt]. If you fill those conditions and wants to play with Cornel, just register by answering this forum thread. The raffle will take place on March 22 and we will announce the lucky members right ahead. Last edited by: climu on March 21, 2019, 5:15 p.m., edited 10 times in total. By: AdamReal on March 14, 2019, 9:55 a.m.
By: kj01a on March 14, 2019, 1:29 p.m.
By: J4NU5 on March 14, 2019, 2:18 p.m.
By: jthat on March 14, 2019, 5:47 p.m.
By: Daxz on March 17, 2019, 7:34 p.m.
By: watewer on March 20, 2019, 9:34 a.m.
By: reebs on March 20, 2019, 10:06 a.m.
By: climu on March 20, 2019, 10:13 a.m.
For the record we decided that Reebs can participate despite not playing in OSR leagues or tournament because she kindly casted OSR 1K party tournament on twitch. I will announce the selected players tomorrow. By: BoneSaw on March 21, 2019, 3:41 a.m.
By: climu on March 21, 2019, 5:26 p.m.
We ask the backup players to be here in case the selected player cannot attend. Anyhow it will be a fun event to watch!